Do You Ever Think About What Your Parents Taught You About Being Married? It’s estimated that of the 7 people out of every 1,000 in the US that marry each year, 4 will eventually divorce. That’s about a 50% divorce rate. And I’m not even counting the couples that are still unhappily married. 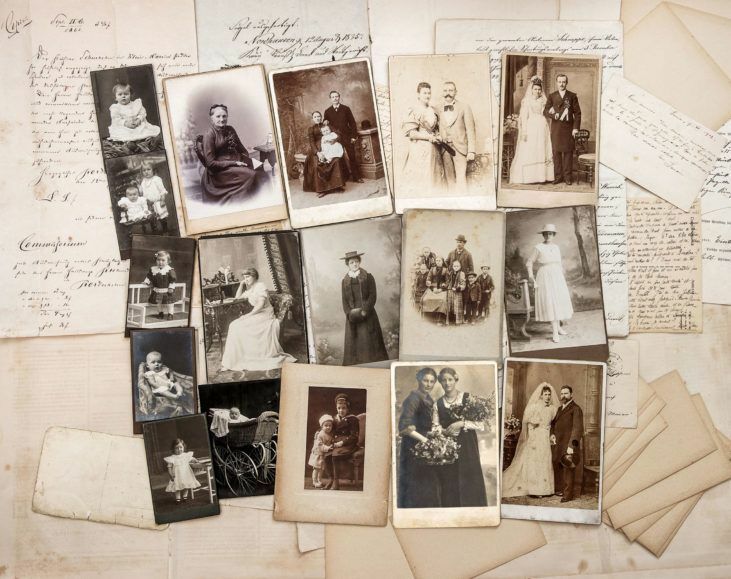 Now there are lots of different reasons why a couple may describe themselves as unhappy, but research shows that many of these reasons go back to what we call your family-of-origin. Your family-of-origin is the family where you grew up. Nowadays, families are often very different from the traditional nuclear family of the 1950s. You might have had only one parent, two parents, or maybe even a series of foster parents. And what your parents taught you about being married, and how it has shaped you, is perhaps one of the most profound life lessons you have ever have. We are a block of wet cement that our parents are writing in with a big heavy stick. This is where we learn about the importance (or lack of importance) of love, respect, fidelity, honesty etc. We are apt pupils of these lessons. We lug that block of cement into every intimate relationship we have for the rest of our lives. And whether we are aware of it or not, we’ll carry it into our adult relationships faithfully. Research tells us that if we come from troubled families, it will weigh us down. It will be that much harder for us to successfully navigate the emotional demands of love and marriage. If as a child your home life was deeply troubled, you might harbor a great deal of self-doubt about your ability to nurture and sustain a close relationship with your intimate partner. You might also have anxieties and expectations that may greatly impact your level of satisfaction with your spouse. The cement block of beliefs and values you learned in your family-of-origin will have a massive impact on your marital satisfaction. These beliefs and values often lurk beneath your threshold of awareness. What your parents taught you about being married is the sum total of what just “feels right” to you. It’s possible that you may feel this sense of abiding correctness, while at the same time be completely unaware of the source of these notions. In science-based couples therapy, these hidden beliefs are teased out in great detail during the assessment process. As I mentioned in my previous post, fighting in front of the kids, kids from relatively happy homes have more secure attachment styles. They are more at ease in social situations, are more comfortable with intimate relationships, more comfortable relying on their spouses and have greater self-esteem and resilience. The kids who were dealt a bad parental hand tend to have beliefs and values that make healthy intimate relationships much more challenging. They might be dominant and overbearing, mercurial and explosive, or overly sensitive and unpredictable. In other words, because of what your parents taught you about being married, the quality of your marriage, whether good or bad, will tend to echo through time. It will seek its own level, and find robust expression in the intimate relationships of your children and grandchildren long after you are gone. I don’t know about you, but I find this to be a profound and sobering thought. In evidence-based couples therapy, we work with you to help them carefully unpack what your parents taught you about being married. We will help you to explore exactly what negative impacts your family-of-origin issues are having on your marital bond right now. In addition to fostering a healthier dialogue between the two of you about your family-of-origin differences, couples therapy also encourages an intense curiosity about what your parents taught you about marriage, and invite you to reflect on the impact it is having on you today. Often this therapeutic work results in a profound healing process that invites you better understand, re-frame, and resolve, your problem-laden past. If you confront what your parents taught you about being married, you may become better able to intentionally cherry pick from these lessons, and decisively move past them. Once you are able to grasp the lessons you learned, you may choose to move forward in your marriage by consciously leaving some, if not all of them behind. It probably won’t be easy. Once you get a closer look at that block of cement, You might want to take a sledgehammer to it and completely re-invent yourself. There may be laughter… and there may be some tears. But a good couples therapist will faithfully walk that path with both of you. With help, you can recognize exactly what your parents taught you about being married. You can acquire the sweet freedom to decide on a different path. You will not only make your own life better, you might also discover that you are now able to hand down a vastly improved emotionally legacy for your children as well. Your courage and wisdom will echo through time. And that is the precious, hidden value of effective science-based couples therapy. Previous Post Depression and Marital Conflict Next Post Can Your Relationship Health Improve With Less Screen Time?